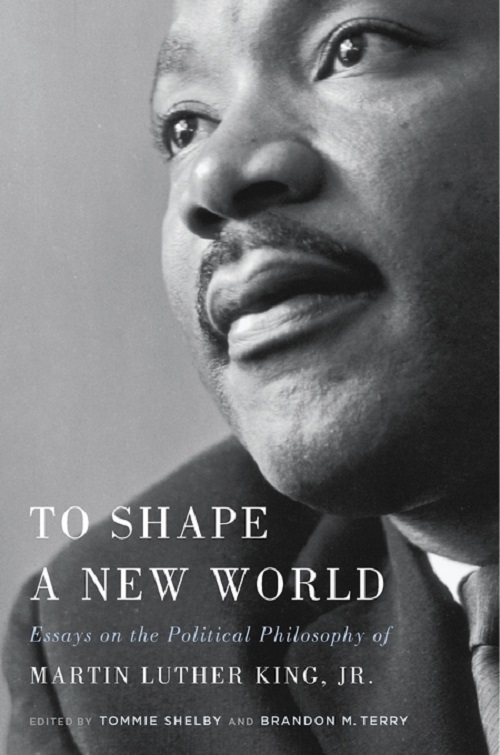 In To Shape a New World, Tommie Shelby and Brandon Terry write that the marginalization of King’s ideas reflects a romantic, consensus history that renders the civil rights movement inherently conservative—an effort not at radical reform but at “living up to” enduring ideals laid down by the nation’s founders. On this view, King marshaled lofty rhetoric to help redeem the ideas of universal (white) heroes, but produced little original thought. This failure to engage deeply and honestly with King’s writings allows him to be conscripted into political projects he would not endorse, including the pernicious form of “color blindness” that insists, amid glaring race-based injustice, that racism has been overcome. Cornel West, Danielle Allen, Martha Nussbaum, Robert Gooding-Williams, and other authors join Shelby and Terry in careful, critical engagement with King’s understudied writings on labor and welfare rights, voting rights, racism, civil disobedience, nonviolence, economic inequality, poverty, love, just-war theory, virtue ethics, political theology, imperialism, nationalism, reparations, and social justice. In King’s exciting and learned work, the authors find an array of compelling challenges to some of the most pressing political dilemmas of our present, and rethink the legacy of this towering figure.